Time to jump on the Dragon Wagon? 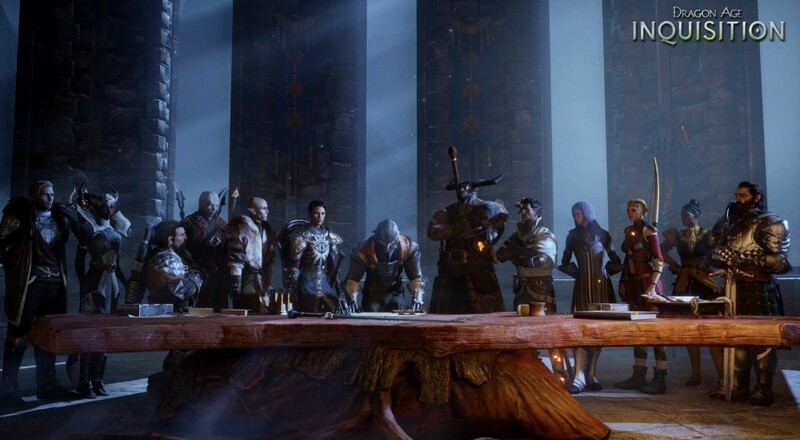 Mark July 2015 in your diary Dragon Age: Inquisition fans as this is the month that will allow you to move your PS3/360 save onto next generation platforms, but is also the month that Bioware announced that any new DLC for the game will not be coming to these platforms. The difficulty in making a game across five platforms has proved cumbersome for Bioware, so to streamline the process they are concentrating on the PS4/One/PC versions of the game. There is no news of any forthcoming DLC, but rest assured that if there ever is, it will not be out on the older platforms. To encourage gamers to move to the latest generation, Bioware have created a Save Importer that will allow you to take your save with you within console families e.g. PS3 to PS4. A new copy of the game will need to be bought, but any DLC you already own will be downloaded on the newer console for free. DA: I is a game certainly worth checking out for co-op fans. We gave this 4 player online co-op game a sturdy 4 out of 5 in our Co-Optimus review. It is currently on sale as part of the Xbox Live Summer Sale - so is it time to jump on the Dragon Wagon?